Anyone who thinks that the everyman beers at Trader Joes are a cheap play on the craft brew market misses the point. These beers are a barometer for the entire market, and they’ve been missing for quite some time. It’s a bit of a “rising tide raises all ships” scenario. These brands and private labels such as Trader Joe’s in-house monikers like “Name Tag” beer, exist because enough shoppers want something better from their cheap beer. And Trader Joe’s unique business model assures its consumers that they’re getting cheap, but high quality foods and beverages, even if they’re from overstock of larger suppliers out of Mexico. And loving great beer doesn’t mean you always want the hoppiest, sourest, most experimental thing you can find. As craft brew aficionados, we can easily forget that for most drinkers, beer is a facilitator of an experience, not the center of it. And for too long, cheap swill has been that default. But the market is getting populated with straightforward, American style lagers and ales from a variety of micro and craft brewers as of late. And the pendulum is swing back from the hops race and “my beer is more sour than yours” mentality, and re-claiming the original concept of “beer.” And at the heart of it is refreshment and lifestyle, not nerding out over homebrew ingredients and the obscurity of collaboration bottles, as important as these are for the future of the industry. 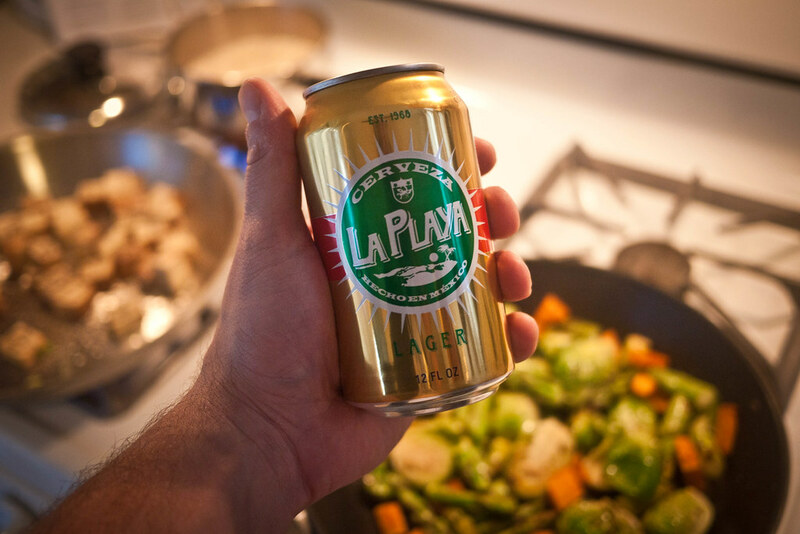 So when I’m in the kitchen sautéing some vegetables, and it’s 90 degrees with the screen door open wide, I’m reaching past my Sprecher 20th anniversary, past the Unibroue-bottled 2010 Trader Joes I’m aging, and a Southampton or two, to grab a La Playa. 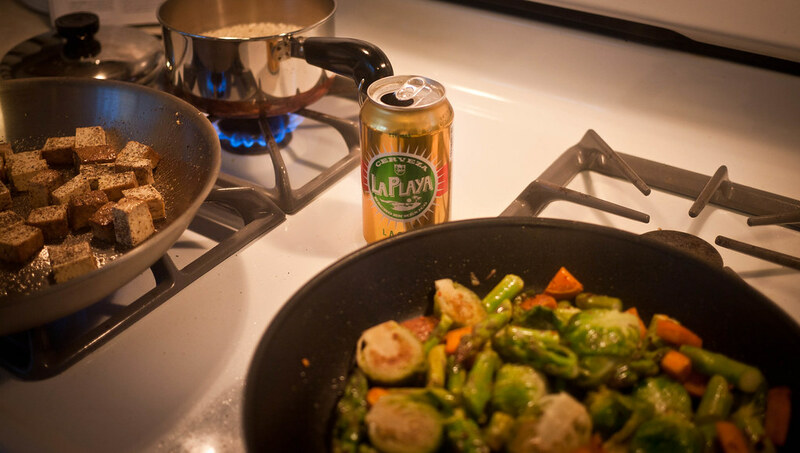 Partly because it’s cold as hell, partly because it tastes a like copper pennies out of the can, and partly because it smells like yard work to me and I don’t mind drinking it while I sweat over a stove. But mostly, I’m reaching for a “beer” — and that can be a satisfying relief for the mind as well as the palate.